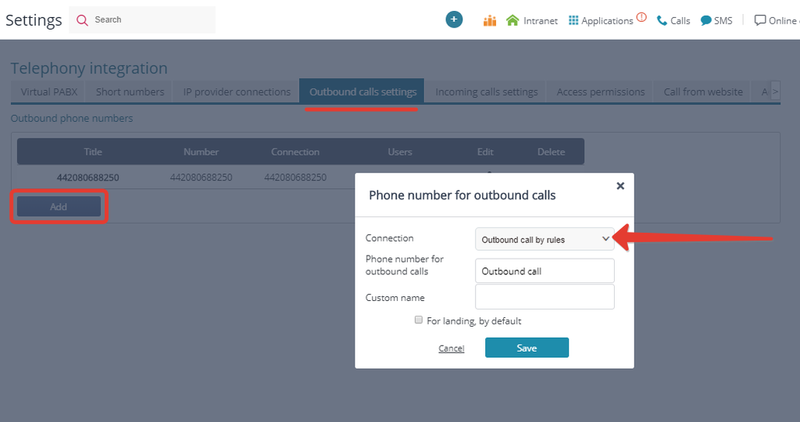 You can create rules for outbound calls distribution among providers. For instance, local city calls can be made through one provider, while intercity calls can be handled by a different provider. Prior to processing, a phone number is cleared from all the gaps and other characters different from digits; after that, rules are applied. 4 — you can add multiple rules.